While the country’s political future still remains unclear, the monarch will continue to exert influence in how it is shaped. Amid the expected continuing controversy about Thailand’s election results, it is important to keep in mind that the Southeast Asian state’s political future will still be partly shaped by the enduring role of the monarchy in general and the reign of its new king, Maha Vajiralongkorn, whose coronation is expected next month. While the monarchy has traditionally been considered above politics in Thailand, this has obscured the fact that the institution has immense influence in how the country’s politics are managed within broader state-society dynamics. 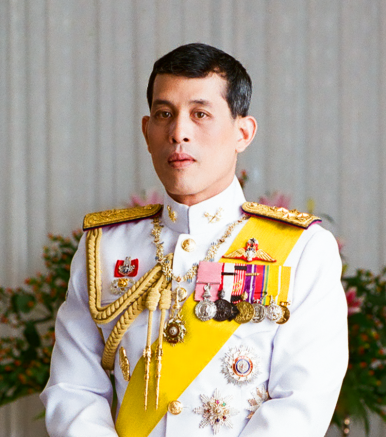 While Vajiralongkorn does not enjoy nearly as much adulation as his father, the power of the monarchy as an institution endures even as the country has been under military rule following a coup in May 2014. The role of the king was clear for all to see in his reaction in the run up to the election when his elder sister, Ubolratana Rajakanya Sirivadhana Barnavadi – who renounced her royal title after marrying a commoner decades ago – stunned the establishment by accepting the nomination for a party linked to exiled former Prime Minister Thaksin Shinawatra, ousted by a coup in 2006, with his sister Yingluck whose political career suffered a similar fate in 2014. She was swiftly disqualified, with Vajiralongkorn making clear his view about her inappropriate involvement, and the party she was attached to was dissolved. Thailand’s new king can be expected to loom large in the weeks that follow, even as Thailand’s election outcome itself remains unclear. Indeed, his role in the post-election dynamics has already been clear with a number of moves that have been made by him as well as the establishment, with a notable case in point being the decision to strip Thaksin of his royal honors amid uncertainties about whether pro-junta or anti-junta coalitions would end up forming a government with broader issues around the computing or results. More broadly, it is worth recalling that the election date itself was scheduled partly with a consideration of when Vajiralongkorn was going to have his commemoration, and that this royal coronation, and the king’s interests more generally, will factor into how the country navigates through its political future. The official results from the elections will not be released until May 9, just a few days after the royal coronation ceremonies set to take place between May 4 and May 6. And there have been reports of the pro-military Palang Pracharat party saying it will not enter into negotiations about coalition dynamics until after the coronation because that is where the focus should lie. To be sure, the monarchy’s role is only one aspect of the shadowy politics in Thailand in general and murky post-election dynamics in particular that we will continue to see in the coming weeks, and what is said and seen in public is very likely different from what is being done behind closed doors. Nonetheless, as we continue to see developments evolve, one should not ignore the influence of the king in how Thailand’s future politics evolve.